Before I start talking about how to speed up Web browsing by finding the fastest DNS servers, let me first talk about what actually a DNS server is and how it affect your browsing experience and its speed. DNS which is short form of Domain Name System is a technology which managesÂ names of Web sites and Internet domains. It helps your computer to automatically find that address that you type in your web browser like www.avinashtech.com. A key element of the DNS is a worldwide collection of DNS servers. A DNS server is any computer registered to join the Domain Name System. A DNS server runs special-purpose networking software, features a public IP address, and contains a database of network names and addresses for other Internet hosts. Now, how a DNS server affect your browsing experience. In short, its like if your DNS server is able to resolve the website or domain name you typed in browser faster , the speed of your browsing automatically increases. In the same way, if it takes more time to resolve the addresses, the browsing will be slow. Keep in mind that here we are talking about timings in seconds and microseconds. So for most of you guys, you wont even notice the time DNS servers take to resolve your web addresses. So if you can find the fastest DNS servers available to you, then it will speed up your browsing. Namebench is a tool that can help you in finding the fastest DNS servers available to you. 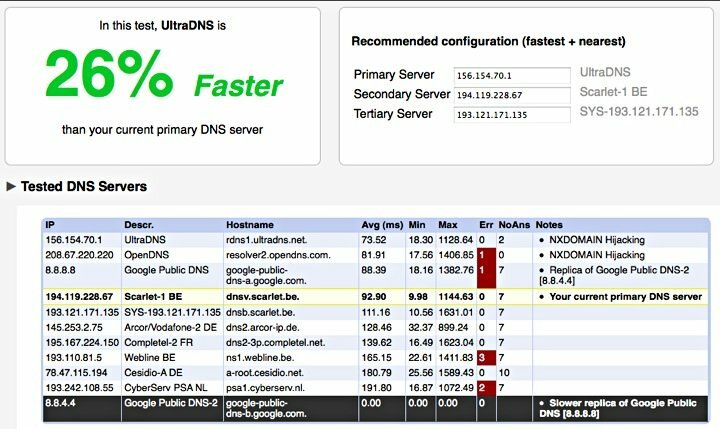 By performing different benchmark tests on multiple DNS servers, this small & free utility reports back on which are the fastest, most secure one and which DNS servers you should use. You to configure your PC if you want to use the fastest DNS servers.I have talked about how to change DNS servers on your system here and here. Normally, your ISP provides DNS servers to resolve the addresses, but you can use other DNS servers as well e.g. OpenDNS or Google Public DNS. Namebench will report whether your ISP DNS servers are fastest one or not. It also recommends if you need to change the sequence of your DNS servers to achieve maximum speed. So, if you are comfortable with changing DNS servers configuration, use this tool otherwise you should stay away from using this. wtf, this text is localized to my native language, but that is all bs I see. Nonsense sentences etc. Please, keep it in english. Its already in English unless you used a translation.